Today is the London Marathon, my yearly reminder that I’m incredibly unhealthy and never do anything for charity. In a concerted effort to make me feel even more inadequate and failed as a human one of the runners has been filmed being an incredibly great person. 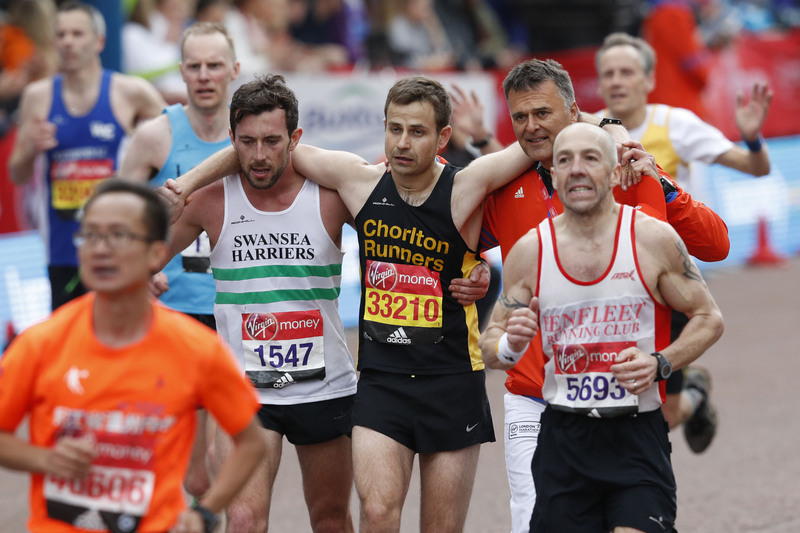 Matthew Rees of Swansea Harriers stopped running just 200m from the end of the race to help a clearly struggling David Wyeth of Chorlton Runners finish his race. David Wyeth is visibly shaken in the footage and has clearly given his all in the 26-mile race. It’s incredible that Mattew Rees still has enough in the tank to help someone else. He also wilfully sacrifices his race time to help someone else in need. Eventually a race official joins in to help David make it across the line and a medic also later joins. Meanwhile I’m sat here wondering how many Greggs sausage rolls I can order before the cashier will judge me.